The Peace Dollar, the last dollar minted for circulation containing 90% silver, was introduced after World War I to commemorate the 1918 armistice. 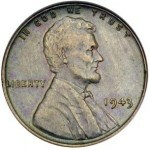 Coinage began in 1921, continued through 1928, and resumed for two more years in 1934 and 1935. Over 190 million pieces were struck. The design features a youthful portrait of Liberty facing left, with the reverse showing an eagle perched with its wings folded. 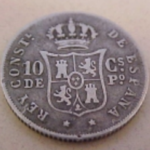 The high relief of the design required extreme pressure to strike the coins properly. In 1922 the dies, were changed to a much lower relief. 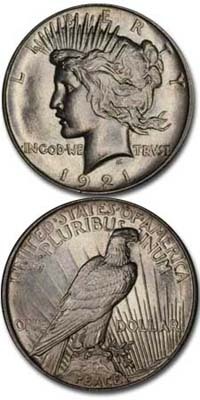 The 1921 issue therefore, differs significantly from the coins struck in later years. All these 1921 coins were struck at the Philadelphia mint. Beginning in 1922, coins were also struck at the Denver and San Francisco Mints. 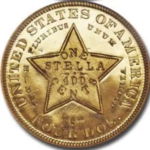 You can find the mintmark on the reverse below the O in the word ONE. The design style of this coin reflects the Art Deco movement of this era. As many Deco creations, the lettering borrows the Latin alphabet and therefore the word “Trust” in the legend is spelled with the Roman letter “u (v)” so the word appears as TRVST. 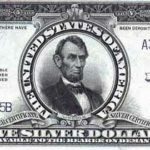 Like the earlier Morgan Dollar, Peace Dollars were stored in Treasury vaults by the millions and today, large quantities still exist in uncirculated condition. Just about all the dates are readily available, and they range in value from about $15 for a common date like 1923, to just under $1400 for the 1934-S. Most of the dates are worth under $100 in uncirculated condition, with the exceptions being the 1921 at $175, the 1924-S at $140, the 1928 at $400 and the 1935-S at $180. 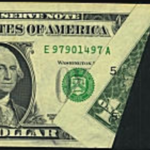 Circulated examples are very common and are worth approximately $8-$9 each. It is still possible to complete a full uncirculated set of all 24 dates and mint marks for under $5,000. What’s “stamped” into my coin?